Unemployment in Scotland fell by 11,000 from February to April 2016, and now stands at 160,000, according to data released today. Unemployment in Scotland fell by 11,000 in the period February to April 2016, and now stands at 160,000, according to Office for National Statistics (ONS) data released today. The Scottish unemployment rate is 5.8 per cent, which is above the rate of 5.0 per cent for the whole of the UK. The labour market statistics also show employment in Scotland fell by 48,000 over the three months February to April 2016. The number of those in employment in Scotland now stands at 2,580,000. It is welcome news that unemployment has fallen by 11,000 over the three months to April, but these figures also show that the downturn in the oil and gas sector is having a significant, on-going, impact. The UK Government is continuing to work with the Scottish Government and other partners to do everything possible to support the North Sea industry and boost Scotland’s economy. Because of the broad shoulders of the wider UK economy, we have been able to take unprecedented action to support the sector. We established the Oil and Gas Authority to drive greater collaboration and productivity within the industry, and in the last two Budgets we announced tax measures worth £2.3 billion - to ensure the UK Continental Shelf remains an attractive destination for investment. No other government has supported its oil and gas industry so extensively and we will continue to do all we can to build a bridge to the future for the sector. Employment in Scotland fell by 48,000 over the quarter, and by 48,000 over the year, to stand at 2,580,000. 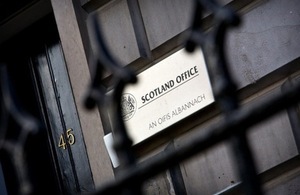 The Scots employment rate decreased over the quarter at 73.2 per cent. The rate is below the UK average of 74.2 per cent. Unemployment in Scotland fell by 11,000 over the quarter and is down 4,000 over the year. The level now stands at 160,000. At 5.8 per cent, the Scottish unemployment rate is above the UK’s rate of 5.0 per cent. Economic activity fell by 59,000 over the quarter and now stands at 2,740,000. Also, the economic activity rate decreased over the year to stand at 77.8 per cent. In May 2016, the number of people out of work and claiming Jobseeker’s Allowance was 57,100 and claimant count, including Universal Credit was 73,600. The Labour Force Survey indicates that the number of people in employment in Scotland from February to April 2016 was 2,580,000. Employment was down by 48,000 compared to the previous three months, and fell by 48,000 compared to the same quarter last year. The employment rate was down 1.2 percentage points on the previous quarter, and fell by 1.3 percentage points compared to the same quarter last year, at 73.2 per cent. In comparison, the Scottish employment rate fell below the UK average of 74.2 per cent. Unemployment in Scotland was down by 11,000 over the quarter February to April 2016 at 160,000. The level was down 4,000 on the same quarter last year. The unemployment rate was down 0.3 percentage points on the previous quarter at 5.8 per cent, which is unchanged over the year. The number of people claiming Job Seeker’s Allowance (JSA), decreased by 500 from April to 57,100 in May 2016. The level is down by 19,200 on May 2015. The claimant count level (JSA and Universal Credit) is up 100 over the month at 73,600 and the rate is unchanged over the month at 2.6 per cent, which is down 0.2 percentage points over the year. The number of economically active (defined as those in employment or ILO unemployed, and seasonally adjusted) in Scotland in the February to April 2016 quarter was 2,740,000. This was down 59,000 on the previous quarter, and by 52,000 on prior year levels. Among those aged 16-64 the economic activity rate was 77.8 per cent, down 1.6 percentage points on the previous quarter, and down 1.4 percentage points over the year.